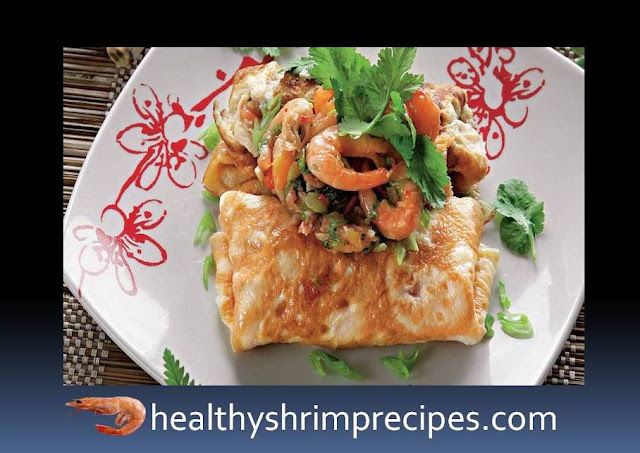 Best shrimp omelet recipe is the thin egg pancakes have gained popularity all over the world. They are rolled into a tube, cut into strips and added to rice or put in chicken broth before serving. 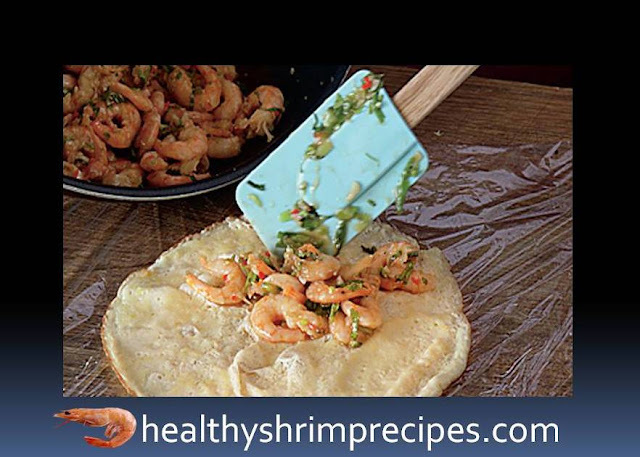 #Step 1 - If shrimps are frozen, thaw them in advance on the top shelf of the refrigerator in a colander installed in a bowl. #Step 2 - For omelets beat the eggs with 2 tbsp water and fish sauce until foaming. Heat the pan with a diameter of 20 cm, grease it with vegetable oil, pour out half the egg mixture, tilting and turning the pan so that the eggs spread in a thin even layer. Keep on low heat until the omelet is fully fried while remaining soft and pliable for about 1 minute. Put it on a plate. Repeat with the second half of the egg mixture. #Step 3 - For the filling, chops the white part of the lemongrass stem and cilantro root, rub in a mortar. Finely chop the garlic and chili. Fry in a pan on high heat in 1 tbsp hot vegetable oil lemongrass, cilantro, garlic, and chili. 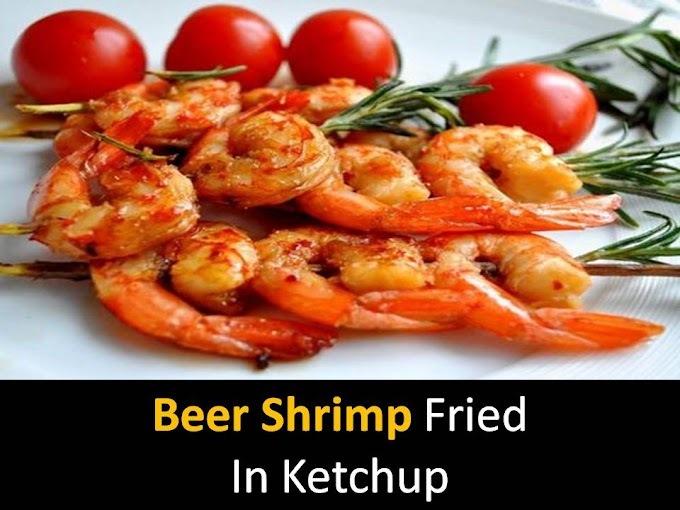 Add shrimp and fry for another 1 min. 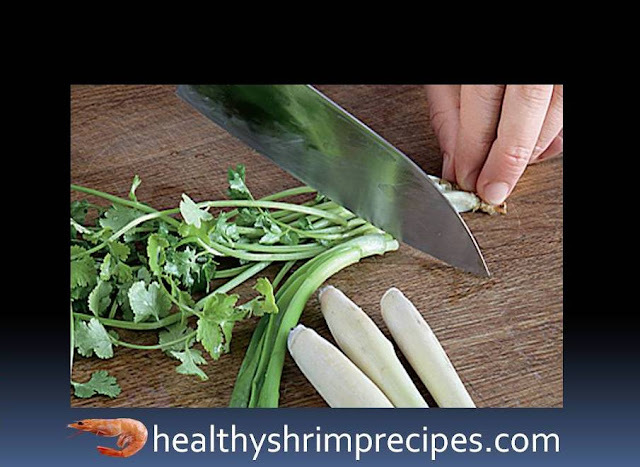 #Step 4 - Thinly slice the white part of the green onion, add to the shrimps with black pepper, sugar and fish sauce, mix and remove from the heat. #Step 5 - Put the stuffing in the middle of each omelet, putting 2 tbsp shrimp for decoration, and wrap on all sides of the edge to form a square envelope. Gently with a spatula, place the omelet on the heated plates, lay the shrimp on top. Shrimp omelet recipe is ready. Serve immediately, sprinkle with chopped green onions and cilantro leaves.